HomeBlogHome DecorCoffee For One With The Stylish WMF1 Coffee Machine. 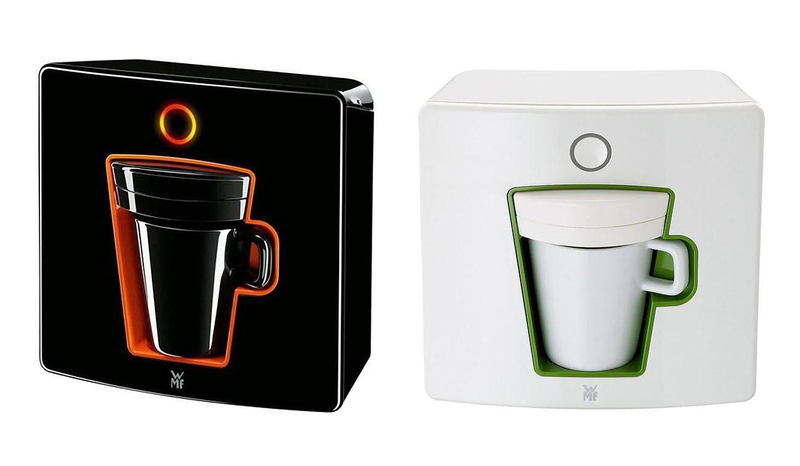 The stylish WMF1 is a filter coffee machine and at the same time a neat design object. 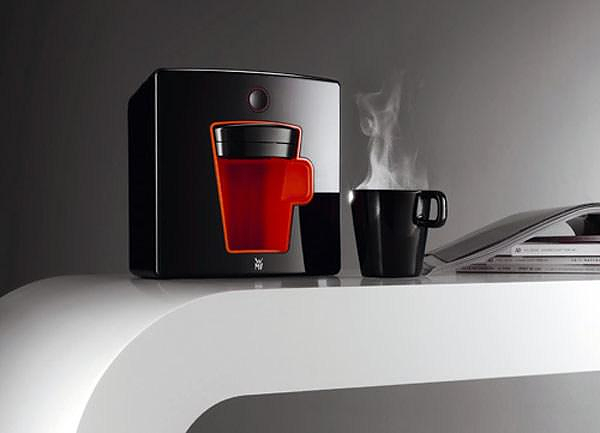 This tiny attractive-looking coffee machine was designed to make brew one coffee cup at a time. Let’s face it every serious coffee lover knows that coffee brewed three hours ago is not the best of beverages. So when you want a coffee for one, why use a regular coffee machine designed to make several cups? The WMF1 by German WMF is sleek, stylish and designed precisely for on-hand use. 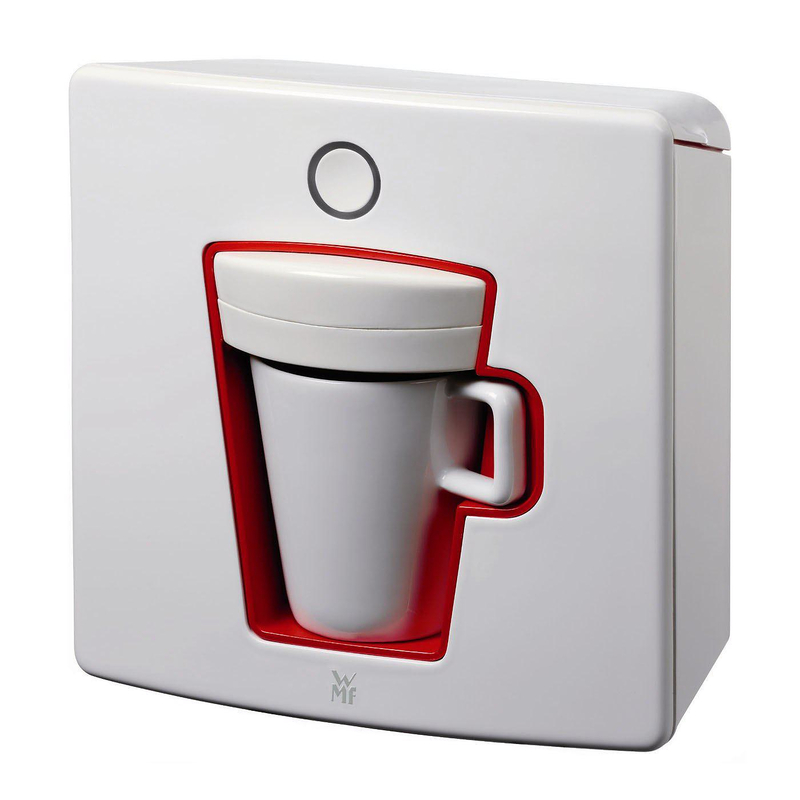 It was designed by Designafairs and it is a proper single-serve brewer. Just insert your favorite coffee mug (in this case, the supplied matching mug) and within a minute your coffee is be served fresh and hot. 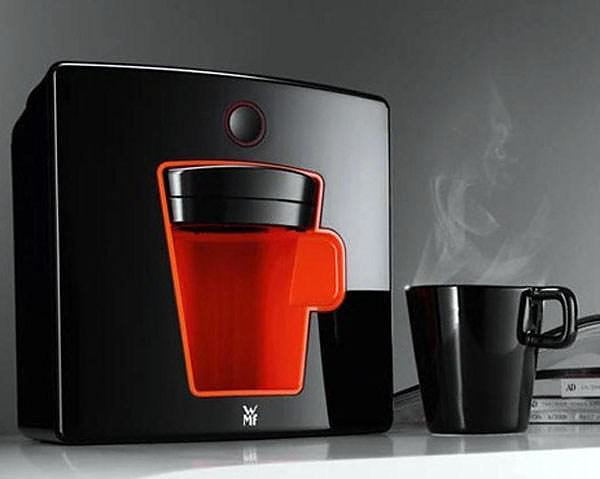 The WMF1 coffee machine has everything you need to make one good cup of filter coffee, including an integrated water tank and a 70mm coffee pod holder. 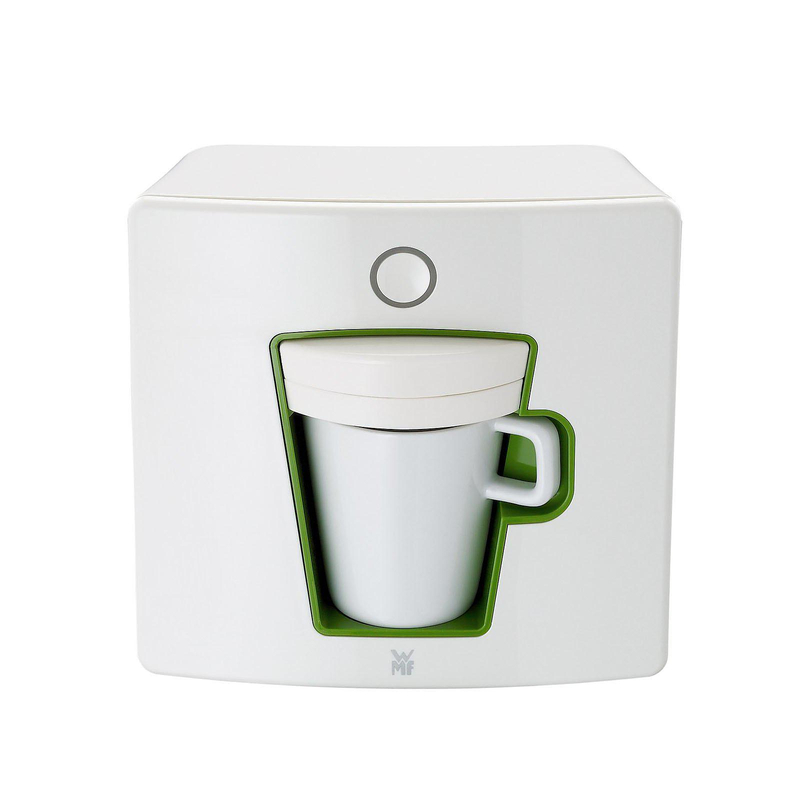 The integrated water tank of WMF1 is sized exactly to hold the volume needed for one cup, so you always brew only with fresh water. 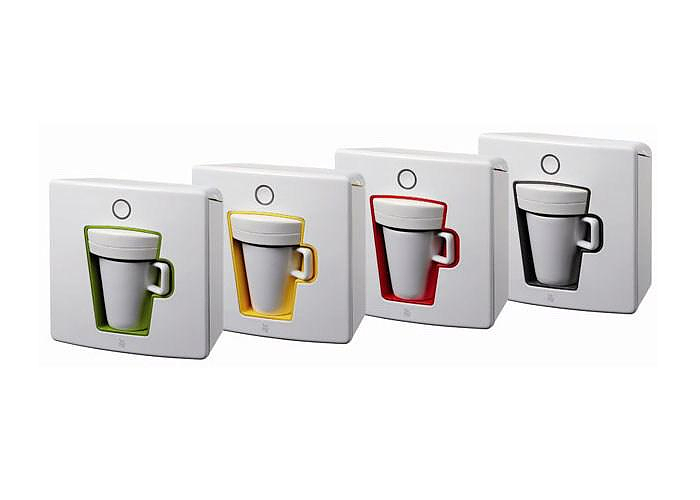 Slip in the bundled cup, insert your favorite standard coffee pad,press the glowing button and grab your coffee in less than a minute of waiting. 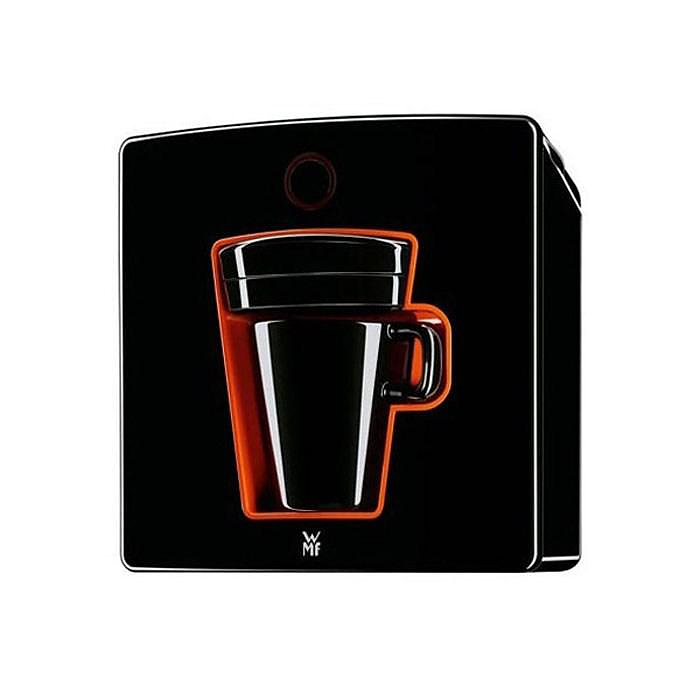 This elegant coffee maker will pump out exactly 125ml of coffee every time, just enough to fill one standard cup. 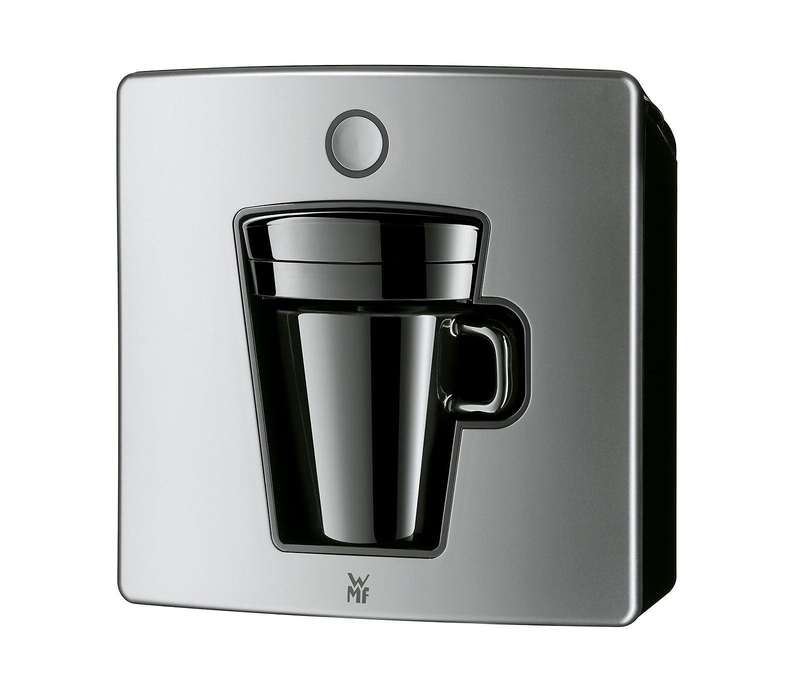 Moreover the WMF1 is ultra-compact and will easily find room anywhere you set it, whether on your office desk, your kitchen bench or even or your bedside table. 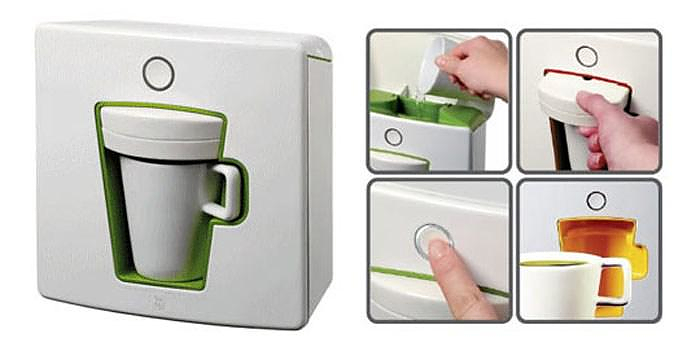 You can even throw it in a bag and brew your own coffee anywhere, anytime. 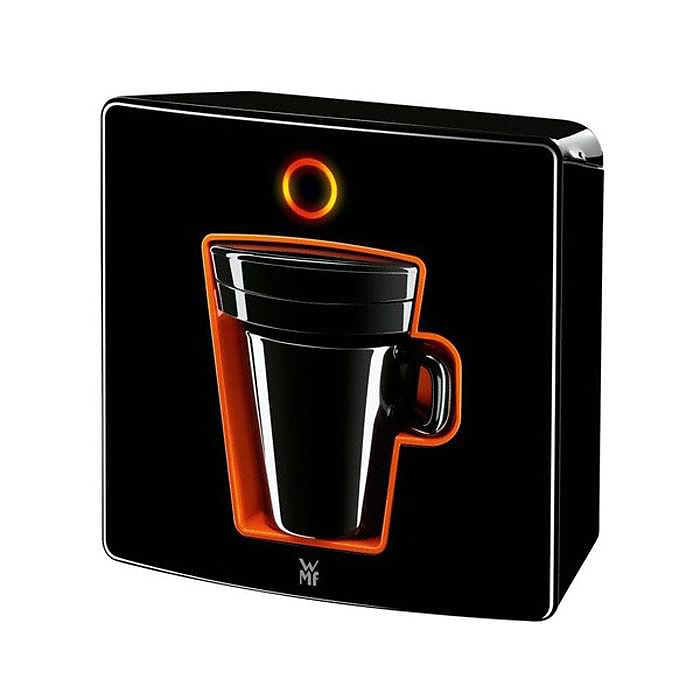 The WMF1 Coffee Pad Machine is available in a variety of colors, including white, silver, berry, mango, kiwi, stone and our personal favorite the glossy black with the orange detailing. Hi, can you please let me know where can I order this from? I’ve been trying to find this item for a long time…. Thank you for your interest this article is somewhat old (dated 14 January, 2013) we “think” that the WMF1 Coffee Machine has been discontinued by the manufacturer. It used to be widely available in many stores, but now it seems it is not available anymore. You will be lucky if you find leftover stock somewhere, but we have no clue where.